Increase drone's run-time with multiple batteries system? Hello guys, this is my first question, so, first of all, sorry for any gramatical mistakes. I recently bought a drone (a cheap one) with a shameful autonomy of about 10minutes of flight. It uses a 3.7v 500mAH LiPo battery for that. I also have 4 extra batteries of same caracteristics (3.7v 500mAH). Let's say that the weight will not influence on the flight, so, what I really wanna know is: How do I attach these 5 batteries in one only system to increase the drones run time? See this image, please. I wonder if this may damage the drone. Another one: Could I just buy a, let's say, 3.7v 3.000mAH and hope that it increases the autonomy in 6x (Since its 6x more mAH) or it will just blow up the hole system? Like Steve said, Weight can be a problem for RC aircraft. Looking at your Pic I'm guessing it can at least hover so that's really up to you. I would be concerned about charging it. A multi cell charger / balancer could work ( IDK if the come in a six socket set mind you) I would go with the 3Ah li-po you suggested. 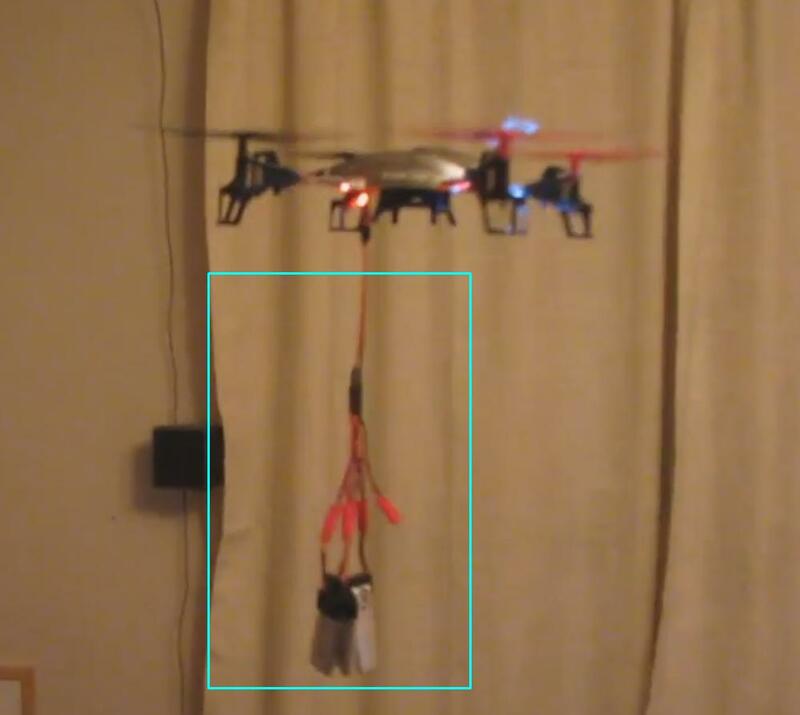 While the drone is charging, just unplug the second battery from the copter and plug it into your second charger. A single cell would also fit nicely in with the landing gear. May have room to run some Fancy Flashing Lights! >.> Good luck ! Hi, Im also doing the same thing as him. So its alright to increase the Capacity but not the voltage of the battery, Charging the batteries wouldn't be a issue since they would be charged independently thru a usb hub. But the Hug would have the amp rating to charge all batteries. yeah as long as each cell is being charged separately you should be good. If you are using more then one make sure there all the same capacity too, If not you may have some problems down the road. Thank you for your answer, Wired_Mist! Hey no problem :) Hopefully you make an instructable ( or post some pics) from your endeavor :P I'd like to see how it turned out ! love the pic lulz!! nice. No, it will work fine. But you are trading off WEIGHT too. If the battery has twice the capacirty, but the drone has twice the weight, you won't be better off. Thank you for your answer, steve! I replaced the camera that came with my quadcopter, with a pair of xtra lithium cells It's works just fine and last thrice as long... So yes. I can still lift with it too. Thank you for your answer, seandogue!